You will feel like Link himself wearing the official Legend of Zelda merchandise, your all time favourite video game. 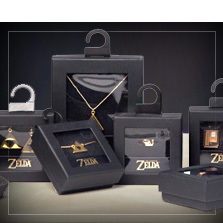 At Funidelia you will find Zelda gifts to give to an authentic fan of one of the most famous video game sagas. 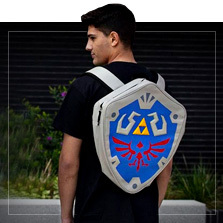 If your favourite character is Link you will find the most original Zelda rucksacks, the coolest shirts and the most amazing Zelda hoodies to look like the brave fighter from the kingdom of Hyrule. 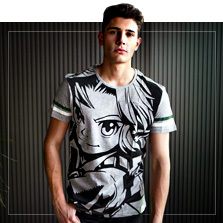 And if you have to give a gift to a Nintendo video game super fan, we also have the most original clothes with the games logo and the triforce and Hylian symbol. We have Zelda merchandise with all the characters: Link, Princess Zelda and Ganondorf. Show to all that you are a true Legend of Zelda fan with the most original Zelda merchandise! If you lovingly call your girlfriend Zelda, if you go to the gym waiting to make yourself "tri strong" and if you pay in rupias when you buy things... you are hooked on one of the best videogames of all time and the Zelda merchandise from Funidelia was made for you. If you have to give a gift to a fan of the videogame, we are sure that you will find the most original gifts at Funidelia that they will love: rucksacks, T-Shirts, hoodies, key chains... everything an authentic "hyliano" will show off with pride. As you know it's dangerous to go alone! Take this Zelda Merchandise!